The Rick O’Donnell 5.22 Mile Trail Run and 8-hour Ultra Challenge, held in beautiful Greenbrier State Park, Boonsboro, MD, is ideal for your first trail race, timed event or ultra-distance goal. The 5.22-mile loop starts and finishes along the sandy shores of Greenbrier Lake with 750 feet of climb and descent on each loop. The majority of the course is single track, with about half a mile of pavement per loop. Participants will complete one loop to compete in the 5.22 Mile Trail Run or multiple loops to participate in the Ultra Challenge. All finishers will be scored by their single-loop time for FSRC Grand Prix scoring purposes. Nobody can win awards in both events, only the one that you registered for! 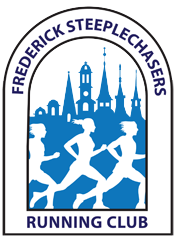 Rick’s Run is an FSRC Grand Prix Race (one loop), a Trail Runner Magazine Trophy Series Race, and part of the Maryland RRCA Ultra Series (must complete six loops to qualify). The lone aid station on the course is located at the start/finish. You will be well cared for by a seasoned aid station crew, captained by the esteemed David Hartman. Dave has captained aid stations at MMT 100, C&O Canal 100, Greenbrier Ultras (also held at Greenbrier) and has been a semi-permanent fixture at Rick’s Run since its inception! Proceeds from Rick’s Run benefit the FSRC Scholarship Fund.